If you are a fan of the amazing game, Flappy Balloon is best for you. Come play Flappy the Balloon ,the MOST ADDICTIVE arcade game on the mobile! 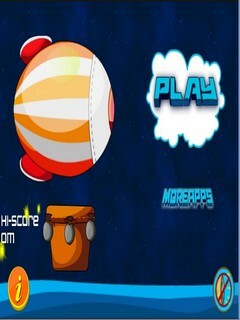 Flappy Balloon is a casual game where you control a balloon and guide it through the obstacles. Test your reflexes in this never ending high score-based game for your mobile phone! Flappy Balloon needs your help! Fly in the air but avoid the obstacles! Once you start, you CAN'T STOP!!! YOU WILL JUST BE ADDICTED! Just tap tap tap and make the Balloon fly. Be careful don't hit the obstacles. 1. Simple one touch controls. 2. Easy and fun to play, but a challenge to fully master all the achievements. Alien Walk On Green W..